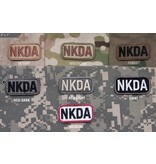 NKDA stands for "No Known Drug Allergies". A way to let the medics know that when you have a bad day, they can use about anything to fix you on up. 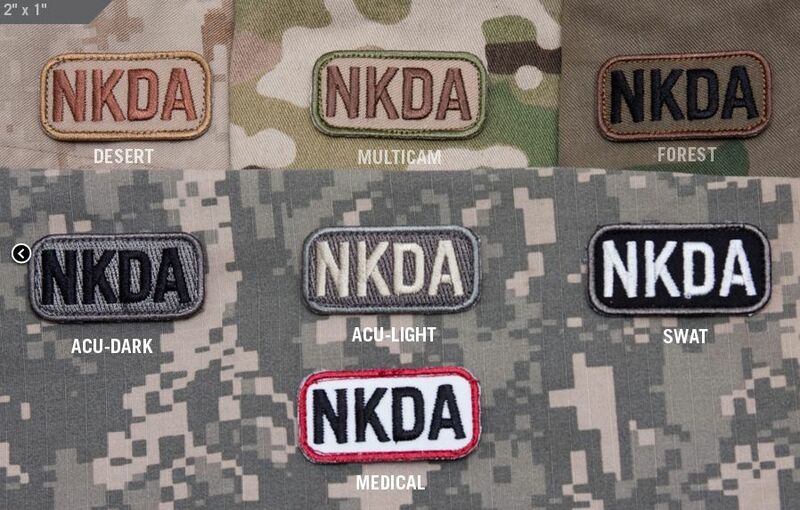 Done in similar style to our bloodtype patches. Hook velcro sewn on the back 2" x 1"